42 mm 18K red gold case, 14.2 mm thick, sapphire back, convex sapphire crystal with antireflective coating on both sides, silver-plated dial, calibre A8936102 self-winding movement with flyback chronograph, hour and minute counters combined in a totalizer at 12 o’clock, small hacking seconds, and date display, approximately 68 hours of power reserve, brown alligator leather strap. Water resistant to 3 bar. 42mm 18K red gold case, sapphire glass crystal arched edge and antireflective coating on both sides, sapphire-glass back, silver-plated dial, self-winding chronograph calibre 89361 movement with date display, stopwatch function with hours, minutes and seconds, hour and minute counters combined in a totalizer at 12 o’clock, flyback function, small hacking seconds, approximately 68 hours of power reserve, brown alligator leather strap. Water resistant to 3 bar. 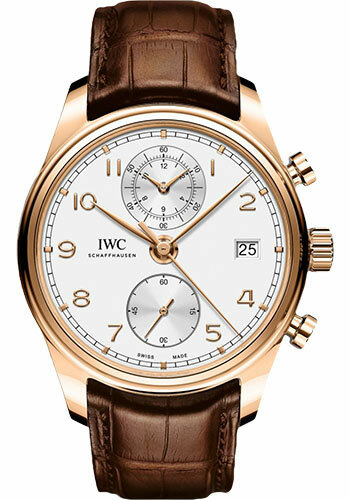 42mm 18K red gold case, sapphire glass crystal arched edge and antireflective coating on both sides, sapphire-glass back, ardoise dial, self-winding chronograph calibre 89361 movement with date display, stopwatch function with hours, minutes and seconds, hour and minute counters combined in a totalizer at 12 o’clock, flyback function, small hacking seconds, approximately 68 hours of power reserve, black alligator leather strap. Water resistant to 3 bar.